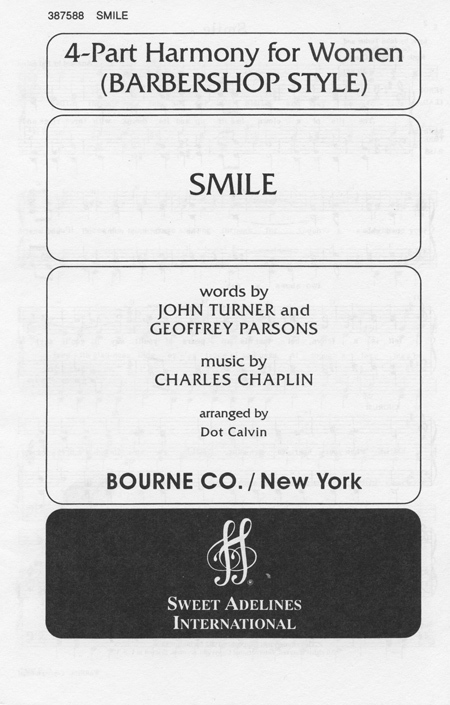 "Smile" is a song based on an instrumental theme used in the soundtrack for the 1936 Charlie Chaplin movie Modern Times. Chaplin composed the music, inspired by Puccini's Tosca. John Turner and Geoffrey Parsons added the lyrics and title in 1954. In the lyrics, based on lines and themes from the film, the singer is telling the listener to cheer up and that there is always a bright tomorrow, just as long as they smile. "Smile" has become a popular standard since its original use in Chaplin's film. One of the greatest songs of all time, Jerome Kern's classic romantic ballad "The Way You Look Tonight" shimmers in a rich a cappella setting highlighted by lush harmonies and gently arched phrasing in a superb arrangement by Kirby Shaw. "Smile" - This exquisitely lush a cappella setting of the familiar lyric, "smile though your heart is breaking", shares a wonderful message of hope and perseverance. An ideal closing selection. The beautifully lyrical Gershwin ballad "Love Walked In" has never before had such a well-crafted, fully textured setting! 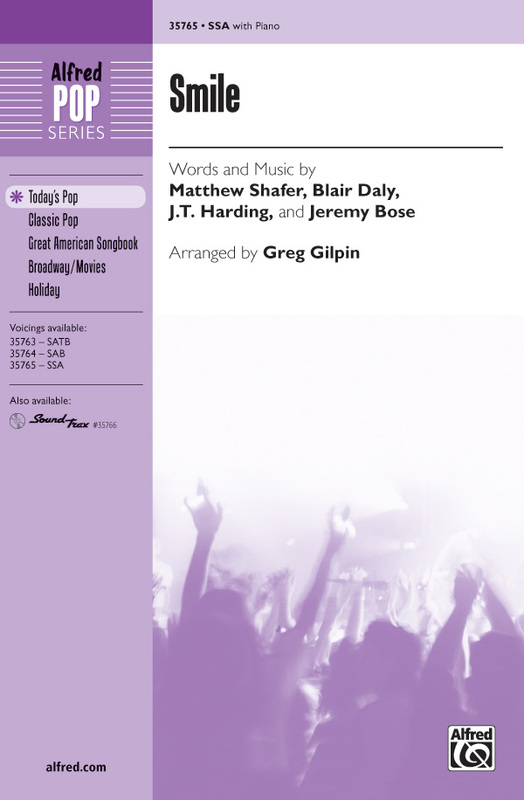 This gorgeous a cappella treatment is well suited to traditional concert and pop programs! Phil Mattson does a wonderful jazz arrangement of " I'll Be Seeing You" while "How Deep Is the Ocean" has varied choral textures and luscious harmonies that makes Irving Berlin standard an ideal selection for a cappella vocal groups. Ultimately romantic! Set in December 1968, this acclaimed Broadway show centers around Judy Garland, poised to make a triumphant comeback ... again. This savagely funny drama shows Garland facing the challenge with her signature cocktail of talent, tenacity and razor-sharp wit, revealing the most brilliant star in her most demanding role: her life. Our matching folio features 16 signature Judy tunes. This exquisitely lush a cappella setting of the familiar lyric, "smile though your heart is breaking", shares a wonderful message of hope and perseverance. An ideal closing selection.